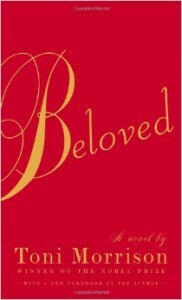 A heated battle that started in 2013, House Bill 516 comes out of one parent’s attempt to ban Toni Morrison’s Pulitzer Prize winning novel Beloved from her son’s AP English class in Fairfax County, Virginia after he complained that the books’ content gave him nightmares. Crafted earlier this year by House Speaker William J. Howell, the intent of the bill is to force schools to create a policy that would require them to notify parents of “sexually explicit content” and give parents the option to opt their children out of reading the title if they personally find them inappropriate. These concerns were brought up during Tuesday’s very heated Senate debate, but despite efforts of those opposed, the majority of senators voted to take the next steps in implementing the bill. During the debate, The Daily Press noted alarming comments made by Senator Richard Black, in which he claimed that some literature already being used in classrooms “is so obscene that is may already be unlawful.” Also disturbing, Senator Tom Garrett read some of the more controversial passages from Toni Morrison’s The Bluest Eye in support of passing the bill, contradicting constitutional and judicial precedent that has determined a work must be considered as a whole, not piecemeal. Calling the bill “a very gentle measure,” senators supporting the bill argued that the bill is simply about giving parents the right to choose the books their children read, not a call to have books banned — an argument that NCAC as well as Senator Janet D. Howell point out is a slippery slope and “the wrong path to start down.” The bill calls into question the definition of “sexually explicit content,” which will be determined by the State Board of Education and poses a potentially huge burden for schools and educators. As some senators aptly noted, the bill opens the door for books ranging from prize winning literature to even the Bible from being unnecessarily flagged, depending on that definition. The bill hasn’t passed yet. The Senate made a small change, so the bill will now return to the House for another vote. Hopefully, the arguments made by educators and free speech advocates who oppose the bill will be heard, and this bill can be put to rest. CBLDF will keep you posted as the story develops.